Hakan Unen and Gurkan Ali went for a fishing session down at the local warmies near Port Melbourne. 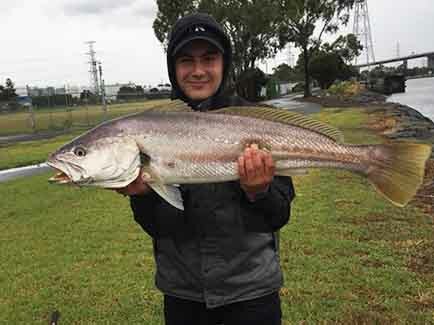 The conditions were tough with frequent rain and wind but the guys were heavily rewarded with a massive Mulloway which took a salted pilchard on a doubled snelled rig. What a catch, thats one of the best fish I have seen pulled from the warmies. The guys also managed a few nice size pinkies. Well done guys! !